How LANXESS ensures people get out safely when a car catches fire. It’s a stressful moment for drivers. Suddenly thick, black smoke billows up from the hood. But usually there’s no reason to panic. 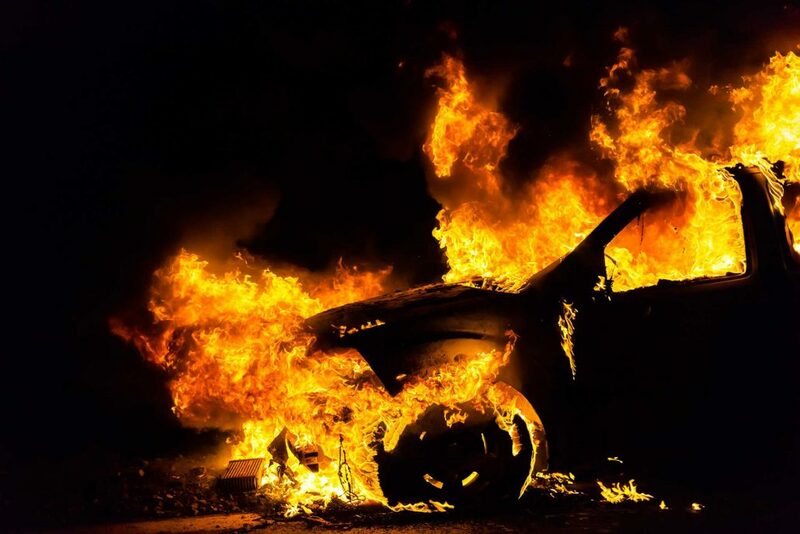 Car manufacturers have long ensured that a small fire, even one on the interior, doesn’t burst into a full-blow blaze. Typically it takes several minutes for an entire car to go up in flames. That’s generally enough time for driver and passengers to get out safely. So how does it work? In case of fire, the flame retardant forms a protective carbon layer on the material. This prevents oxygen and warmth from penetrating the lower layers of the material and keeps the flame from spreading. Ideally, the retardants “self-extinguish” and the fire smothers itself. An effect that, if needed, can save lives.